Barb Maloney/ContributorNiagara Falls, NY - Local photographer and filmmaker Tim Maloney, left, and Niagara Gazette Photographer James Neiss judge the "Summer At Oakwood" photo contest inside the historic Oakwood House. 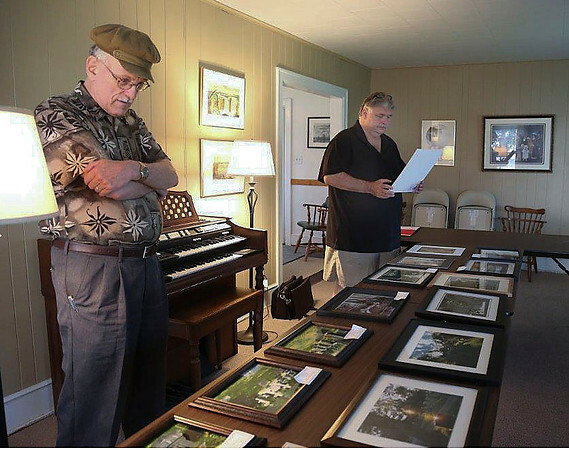 Contestants turned in their best shots of Oakwood Cemetery to be judged and then put on display on the first floor of the Niagara Falls Public Library through the 6th of September. First, second, third and honorable mention prizes were awarded.